May 1st is National Decision Day which means the pressure is on for high school seniors to make final college decisions. WHSAD will be hosting a celebratory party during 3rd & 4th period for students who have committed to the college of their choice. In order to receive a ticket, you must provide Ms. Terraferma with a copy of your college acceptance letter. 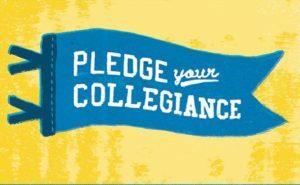 Students (& Staff) are encouraged to wear college attire. Photos will be taken.